In South Holland, situated between The Hague and Rotterdam, lies the lovely little city of Delft. I was lucky enough to spend a few days in the city recently and I just fell in love with it. Come along with me on a little tour of what I found most interesting about this magical little place. 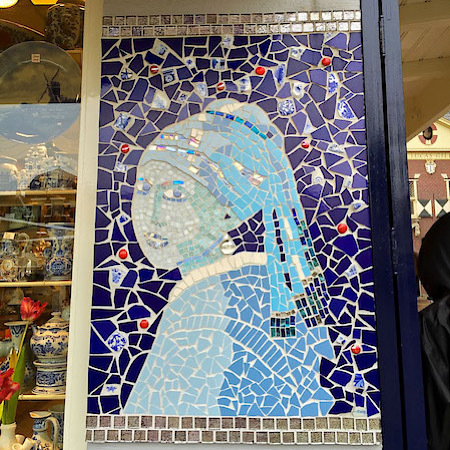 Delft is no stranger to admiration. 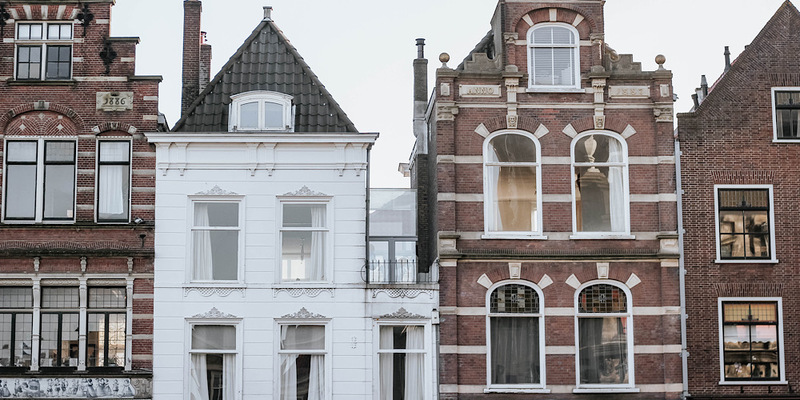 The city is steeped in rich history, beautiful architecture and the arts, and lined with Holland's classically lovely boat canals. So, where to? 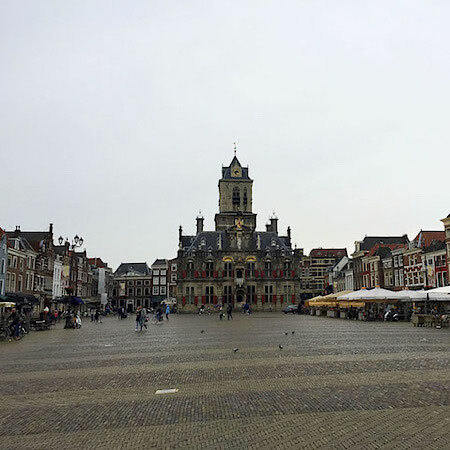 Let's head to Delft's Market Square - the place to go for shops, bars, restaurants, sight-seeing, and taking in all the magnificent architecture and history. 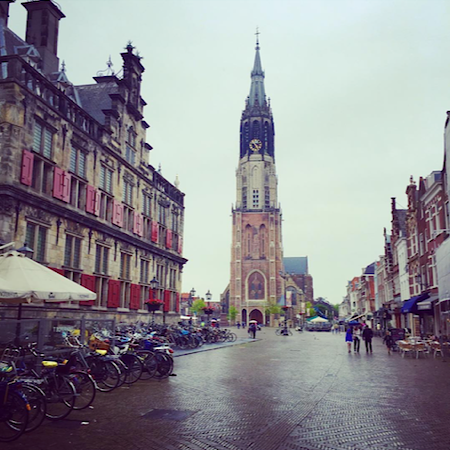 Located in the Market Square, across from the City Hall, is Delft's New Church. It is simply stunning. 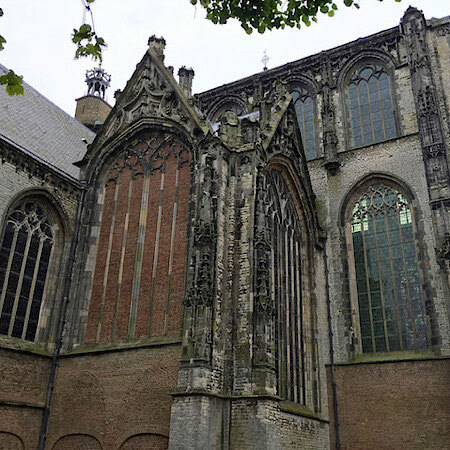 Fun fact - The New Church also holds a permanent exhibition of Delft's history, including its relation to the Royal House. 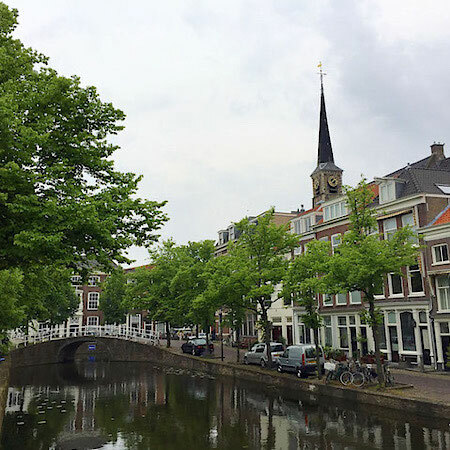 Just a short stroll over the canals is the Old Church of Delft, which dates all the way back to 1050! It's a miraculous thing of beauty. And here's another fun fact - the tower of the church is actually sagging (just like the leaning Tower of Pisa)! Lots of great minds have hailed from Delft, like famed microbiologist, and inventor of the microscope, Antonie van Leeuwenhoek. Also the famous astronomer Martin van den Hove, who developed a system to measure the sizes of the planets in our solar system. And, a plethora of talented painters, probably the most well-known being Johannes Vermeer. 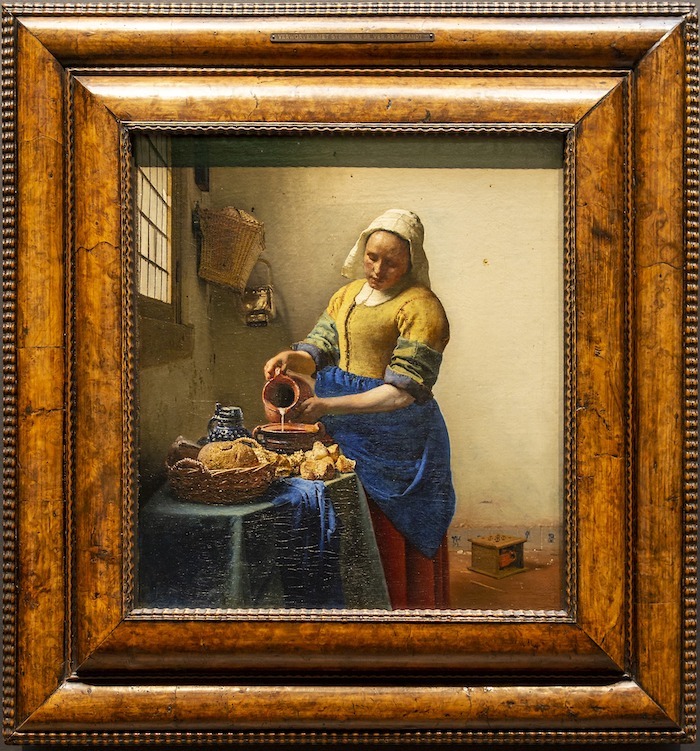 Perhaps best known for creating the famous painting Girl with the Pearl Earring in 1665, Vermeer liked to focus on local scenery in his paintings, mainly portraying people inside homes, and showcasing scenes of regular life in the middle class during that time. Vermeer used mostly monochrome color schemes in his paintings like other painters of his day, but an interesting fact is that he also purchased and used special (really expensive) pigments, namely browns, blues and yellows, and this allowed him to manipulate light and shadow, and create somewhat enhanced versions of the real setting. Think of it like adding a bright Instagram filter to an otherwise drab photo. Another popular export of Delft is the famous Delft blue pottery, dating back to the 16th century. The Delftware pottery is recognizable by it's bright blue and white coloring, and often very intricate detailed artwork. What made Deft blue pottery so unique is the earthenware was originally coated with a tin oxide glaze, which, when kiln fired, gave a luminous richness to the bright blues and whites, making the pottery appear to look like porcelain (even though it wasn't)! It is truly a sight to see!